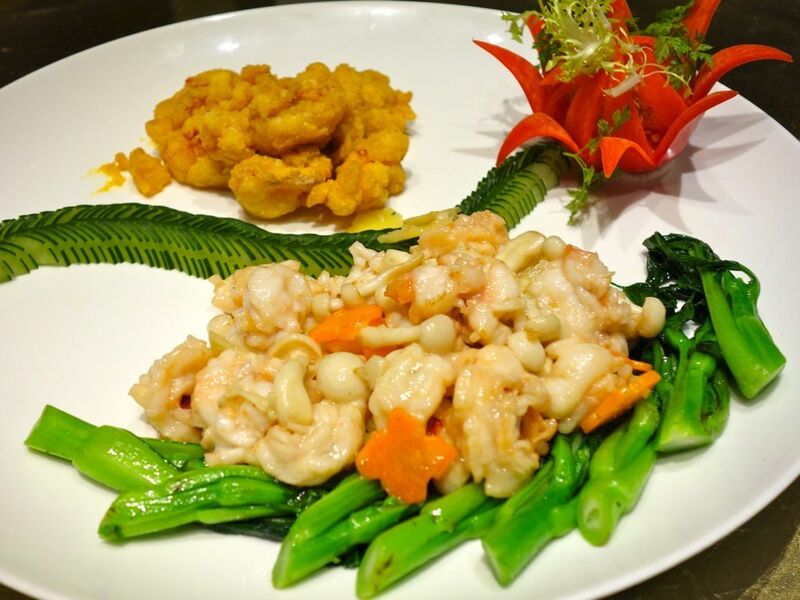 Li Bai is well known for its wide range of Cantonese cuisine. 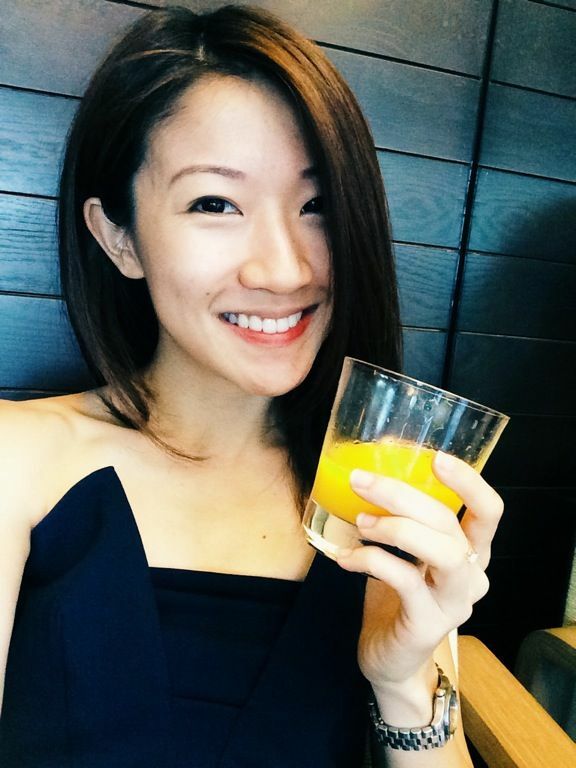 I meant the restaurant located at the basement level of Sheraton Towers Singapore, not the famous Chinese poet. The cosy restaurant is popularly known for their dim sum but the other Cantonese dishes were stellar as well, which i found out after sampling some dishes from their Chinese New Year menu. 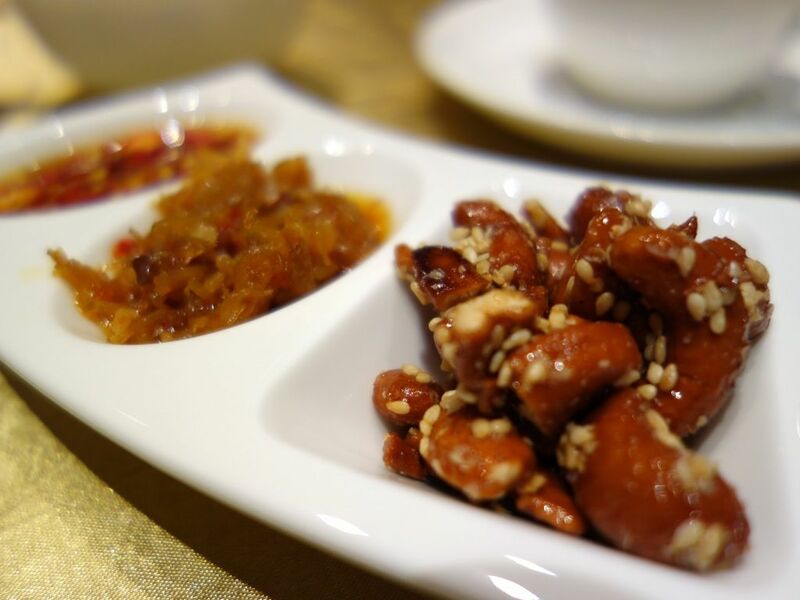 Little appetizers were served and we couldn't stop snacking on the candied chestnuts with sesame seeds. The seasoned dried scallops with chili and dried shrimps had me ask for seconds (sans chili oil). I think there's some XO sauce added to it and it's certainly a good seasoning/accompaniment to the mains. 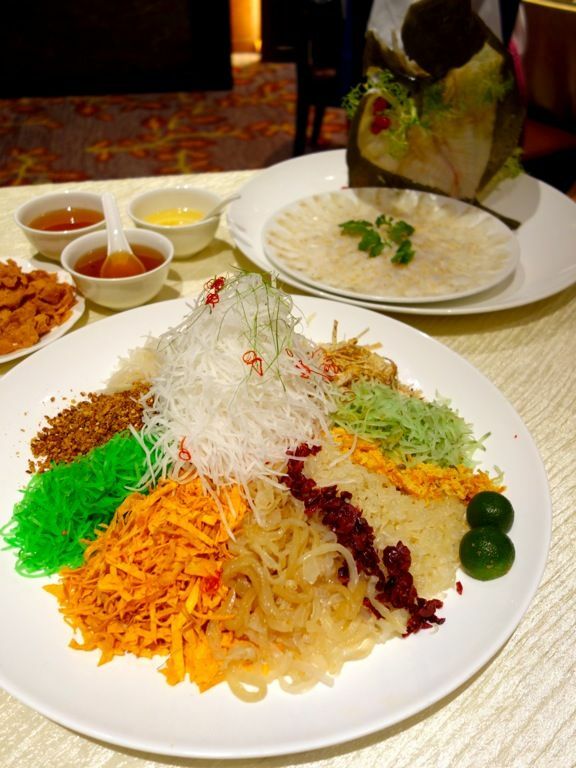 As with any CNY dinner, Yusheng is a must. 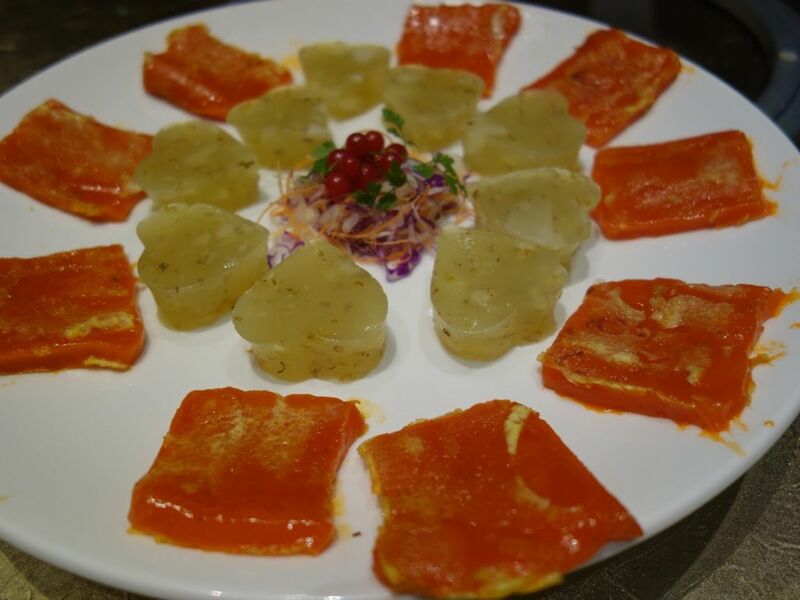 Instead of the regular salmon, we had the Turbot fish, whose name in Chinese means 'many treasures'. There are fried taro and pumpkin slices in the mix, which gave the dish some added crunch. Next, the Braised Superior Bird's Nest with Crabmeat and Crab Roe. I was delighted to see that Li Bai uses birds' nest as a replacement for shark's fin. Well at least bird's nest can be sustainably farmed so it's the lesser of two evils. I liked the clean and light taste of the birds nest (Li Bai was extremely generous with the bird's nest), which was served with a copious amount of crab roe. 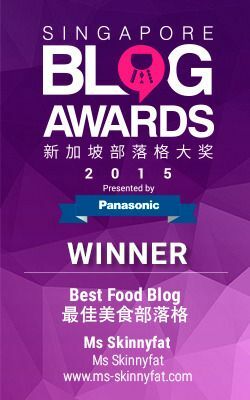 Ask for the XO sauce, we heard from the PR girls that it's great with the soup. Next, the Lobster done two ways: Salted Egg Lobster and Sautéed fillet of lobster with greens. Surprisingly, I preferred the sautéed fillet even though anything served with salted egg is faultless. The sweetness of the crustacean could be tasted better with the ginger garlic sauce. The texture was superb as well, with the meat being springy instead of chewy. 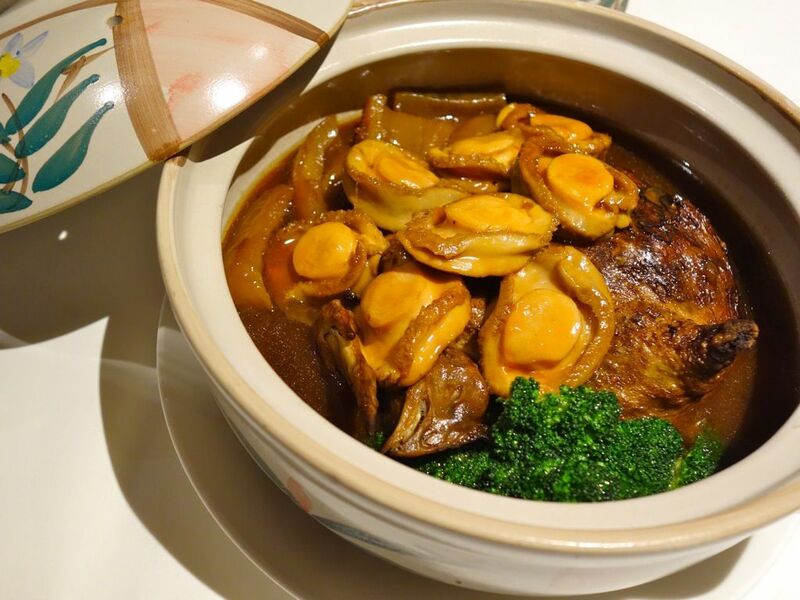 Stewed "Eight Treasures" Chicken with South African 5-head Abalone and Sea Cucumber is the perfect dish to be eaten with a bucket of fragrant steamed rice. Much effort has gone into the preparation of the chicken, which was first stuffed with chestnut, mushrooms, barley, lotus seed etc, then fried and browned, before stewing it for 2 hours to achieve that fall-off-the-bone quality. Abalone was briny sweet and tender too. 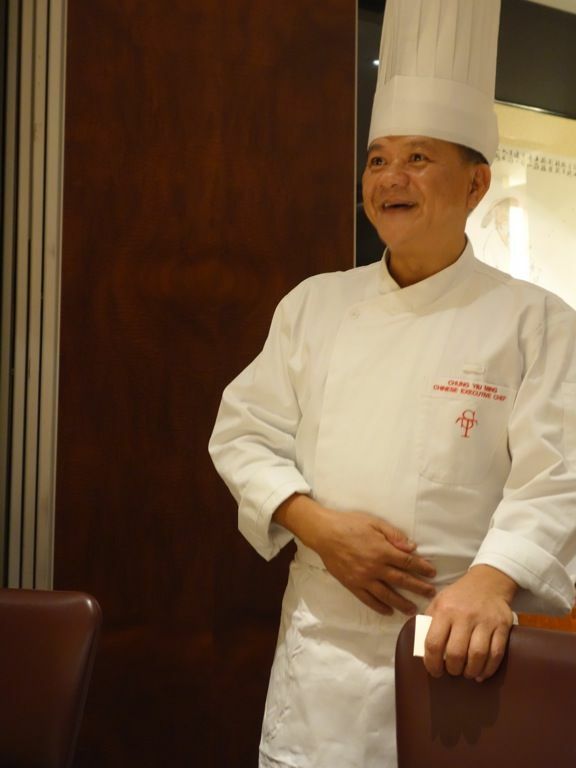 Our wonderful chef for the night, Chef Cheung. We ended dinner with traditional Chinese desserts with a twist. This Pan-fried Nian Gao had coconut in it and was more like the Malay kueh. The Water Chestnut Cake hearts were a refreshing end to the dinner as well. 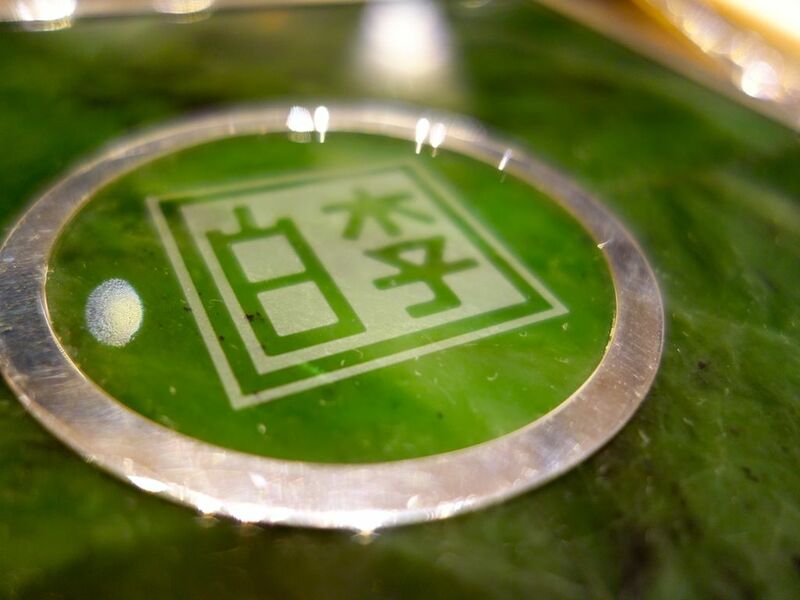 Li Bai will be serving 9 reunion set menus that caters to various group sizes from 17 Jan to 24 Feb 2014. Do make a reservation in advance to prevent disappointment! Li Bai is certainly a Chinese restaurant that I will keep coming back to. Great service, environment and food. Mums will definitely love this one!